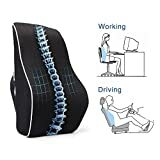 Have you ever experienced back pain from working at a computer desk all day? Using a workstation that isn’t designed with ergonomics in mind can place a huge amount of strain on your body, contributing to back, neck, shoulder, and wrist pain. While working with poor posture definitely plays a role in many office injuries, so too does spending hours at a time sitting down at a desk. That doesn’t even begin to take into consideration the cardiovascular risks that can develop as a result of a sedentary lifestyle. A healthier alternative that many people are switching to are laptop standing desks. These days, there’s certainly no shortage of available standing desk options. 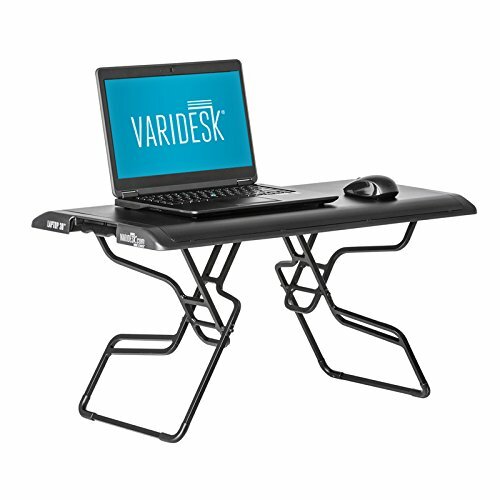 One of the better standing desk products available on the market is this offering from VARIDESK. You won’t find any fancy bells-and-whistles or expensive extras with this desk. It doesn’t adjust into any other type of table or tray. Instead, it’s built to do one thing and one thing only – function as a high-quality standing desk that lets you get your work done comfortably. And that’s exactly where the VARIDESK shines. The company is also quick to point out that the health risks we briefly mentioned aren’t necessarily caused by working sitting down. It becomes a health issue when you spend ALL day sitting down. That’s what makes the VARIDESK such a great product – it makes it easy to quickly switch between working while sitting or standing throughout the day, helping to keep your body moving. With more and more office workers becoming aware of the health risks associated with spending hours at a time sitting at a desk, the VARIDESK is a terrific option for anyone who is seeking a healthier alternative. The VARIDESK small standing desk comes ready to use directly out of the box – there’s no assembly required. All you have to do is take it out of the package and place it on top of your existing workspace and you’ll be up and running within moments. The ultimate goal of the VARIDESK standing desk is to promote a healthier lifestyle for anyone who spends a lot of time working on a computer. With that in mind, everything about it is designed to do just that. This standing desk gives you the flexibility to work either sitting down or standing up, but more importantly, it makes it more convenient for you to be able to move around throughout the day without being forced into one position. Unlike many standing desks out there, the VARIDESK doesn’t require any assembly. It’s ready to go straight out of the box, making it an incredibly convenient option. 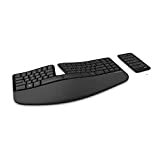 The desk features a dual-handle design and a spring-loaded boost mechanism that makes adjusting between the nine available height option a breeze. The VARIDESK has a work surface that measures 30” x 10.75” with a weight capacity of 15 lbs. 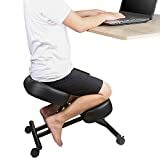 This gives you enough space to comfortable work using a laptop and a mouse while also being compact enough to effortlessly use in a wide variety of work locations. While the VARIDESK comes ready to use straight out of the box, some people may still have some specific questions when it comes to using the desk. VARIDESK actually took the time to set up a page that covers some of the most frequently asked questions regarding their products, which you can check out on their site. There is no doubt that the VARIDESK is an incredible option when it comes to standing desks. However, it’s certainly not the cheapest standing desk available on the market. In fact, it can cost well over $100 more than other viable options. If you’re interested in getting a standing desk that’s quite a bit cheaper than the VARIDESK (yet still high quality) then we would recommend the Executive Office Solutions Adjustable Laptop Desk. Alternatively, if you’re looking for a standing desk that can be used for a wider variety of purposes, you may want to consider the multifunctional Avantree Adjustable Laptop Table. While there’s no denying that the VARIDESK isn’t the cheapest standing desk on the market, you’re definitely paying for quality with this product. It’s reliable, well made, and as all VARIDESK products are ready to go right out of the box, it’s incredibly convenient to use. If you’re not afraid to spend a little bit extra to get a top notch product, we highly recommend the VARIDESK.